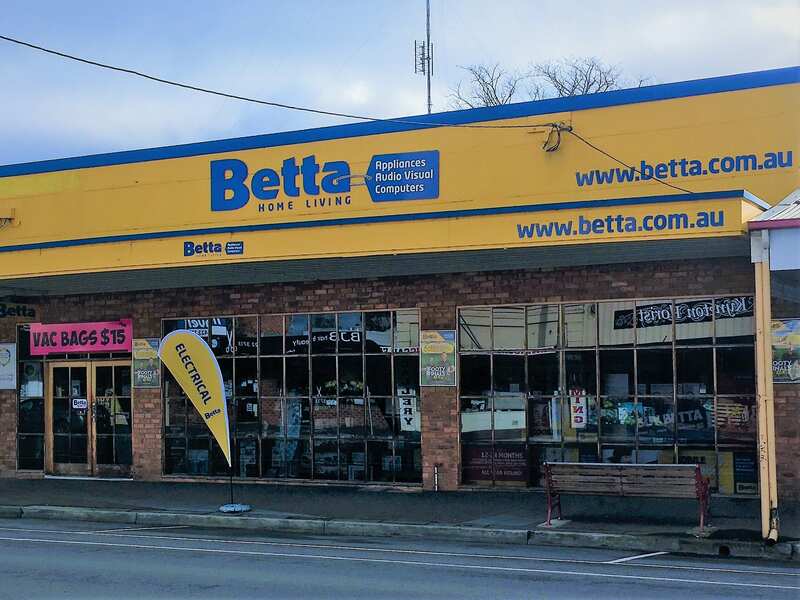 The Kyneton Betta store has been in operation since 1966, with local owner and operator Peter Jennings taking the reins in 2015 and employing three local staff members. At Kyneton Betta they love providing excellent service to their local community, making the purchasing, delivery & installation process easy & hassle free. Whether it be your next fridge, TV, air conditioner, heater or small appliance Betta Kyneton are your local experts. Kyneton Betta offers door to door* delivery for customers in the following areas: Kyneton (3444), Woodend (3442), Malmsbury (3446), Trentham (3458), Tylden (3444), Gisborne (3437), Lancefield (3435) and Daylesford (3460). If you're interested in this service, then contact Peter and the team for a quote. *Conditions do apply.